A few weeks back I had a spare weekend and wanted to do something different. 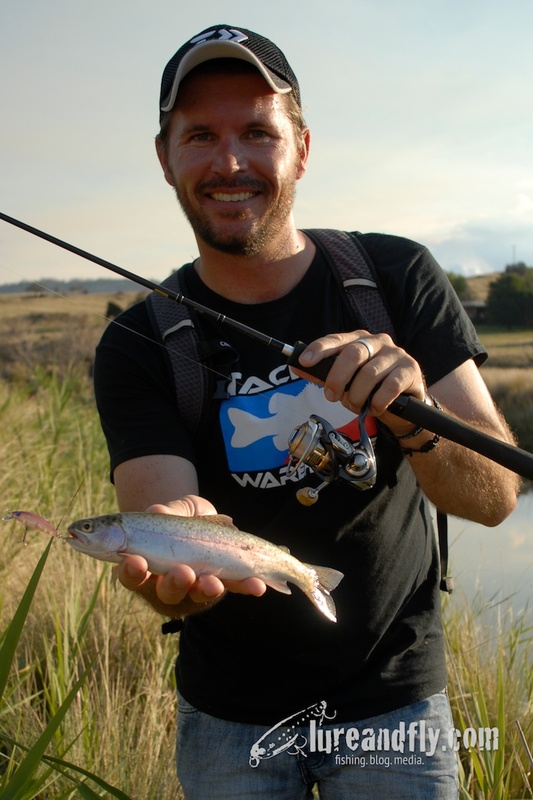 The few times I have been Trout fishing I have really enjoyed it but I figured in the heat of summer, the kind of rivers I have fished would be not really worth a flick because most of the trout would have swam back down to the dams where the water is cooler. So my brilliant plan became to find somewhere with cooler water. Honestly the plan was very vague. 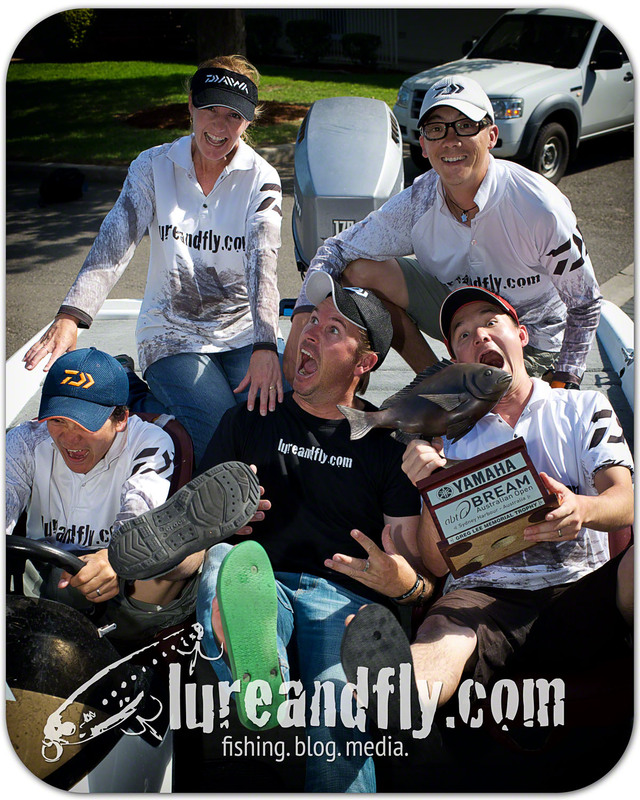 I wanted to catch Trout and I was looking for cooler waters to do it. That was about it. I took two of my bream rods, a Black Label with 3lb and another Black Label with 4lb. I grabbed my Camelback, one small tackle tray with some Yogiris, some of the new smaller sized Double Clutches as well as a few other assorted hardbodies and just got in the car and drove. I kind of figured I’d start somewhere between Jervis Bay and Canberra but on the way I came to the realisation that even in Canberra it’s still pretty bloody hot and that I needed to get higher. It’s not really that much further to the Snowy Mountains and as far as I understand thats some of the best Trout fishing in Oz. By the time I got to Jindabyne I figured out I didn’t really know where to start and decided to consult the all-knowing oracle…… Google. 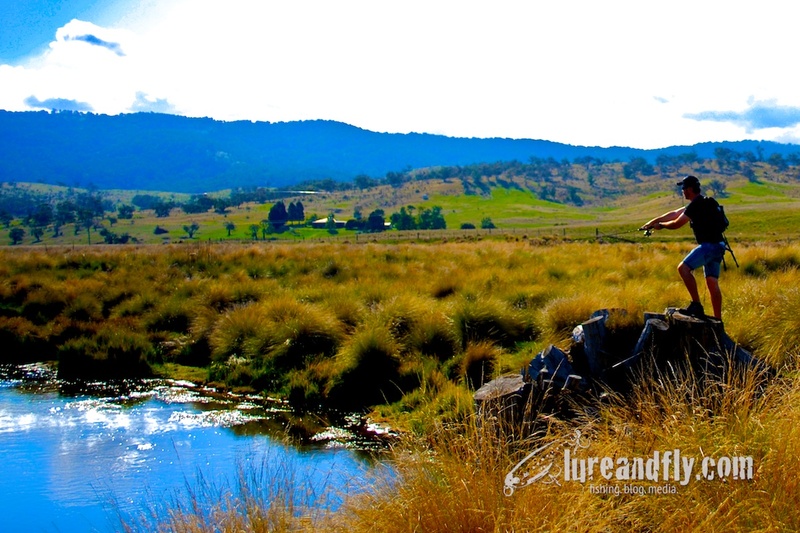 while looking it up I came across a link talking about the “high alpine twig streams”, tiny little creeks higher again in the mountains that trickle down and feed into Jindabyne. Thats about the time my Forrest Gump jogging mentality kicked in. “I figured, I come this far, might as well keep going”. A bit more consultation with the oracle (maps) and another hour driving further up the mountains and I found myself at a tiny creek with good flowing water and that nice bit of stain to the water that always seems to help with the fishing. Second cast with a Yogiri and I was straight into a Brown Trout. Only a tiny one but fun enough in the trickle of water and more importantly, that definitive answer. “No, you were not crazy thinking to fish here”. I got a few more bumps and follows in that creek but decided for safety reasons not to go too far from the car on my own. But knowing something as small as that creek could hold fish meant pretty much any water from here on was good to go. 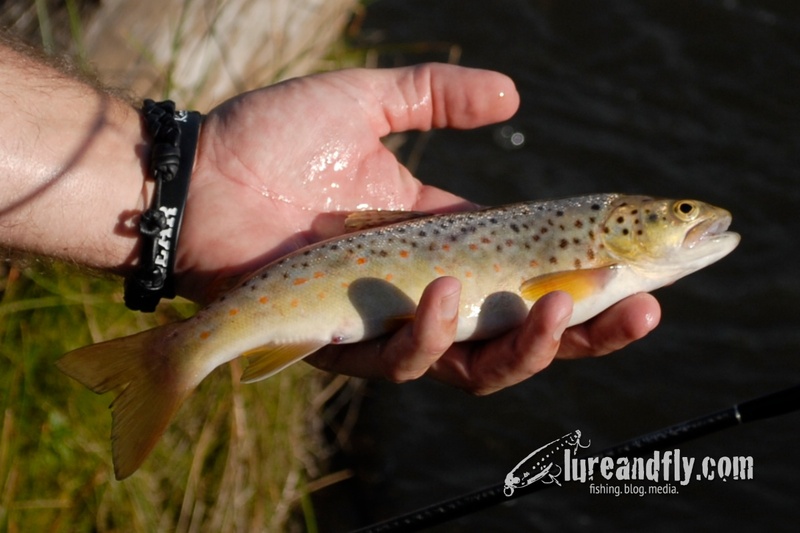 The next creek was a little larger and a little clearer and provided another Brown and a leaping Rainbow. Again both of them were only small fish but so much fun on light gear and small lures. This time I had to give it away because the sun was going down. 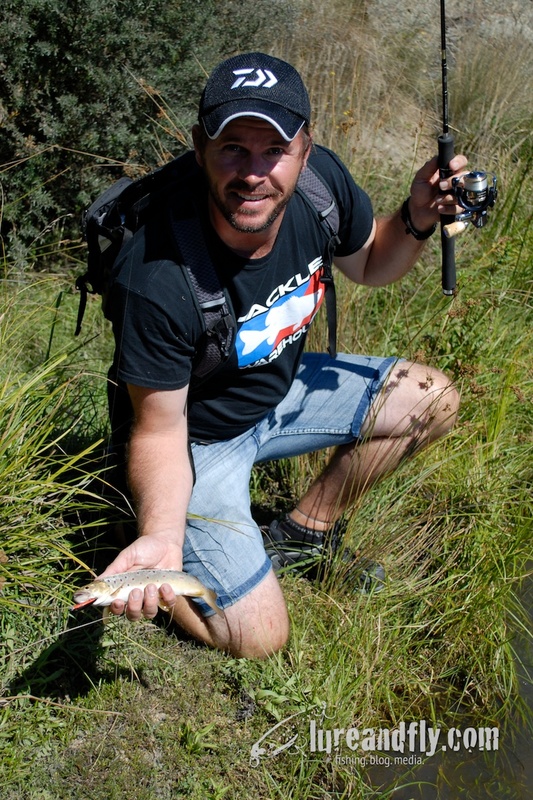 The next morning I figured I might try for some bigger fish further down towards Jindabyne and decided to fish the Jindabyne River itself. This time the water was crystal clear and sight casting to fish was easy. Unfortunately I quickly learned these fish were educated to lures and spooky as hell. 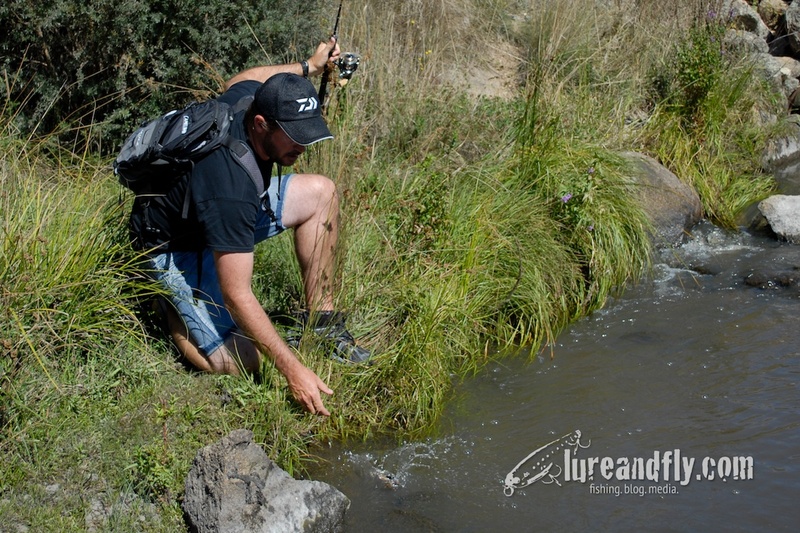 I would cast five metres past fish and as soon as the lure hit the water they would shoot off down stream. Even in the fast flowing water where they wouldn’t spook as the lure hit the water, I could swim it past them with no reaction at all and I had the feeling I was more likely to foul hook one swimming the lure right next to the fish rather than have them hit it. In all it was an amazing weekend. No plans, find out as you go. And even though I only got small fish it only whet my appetite for more when the weather is something other than hot as hell summer. Great Story Josh!! 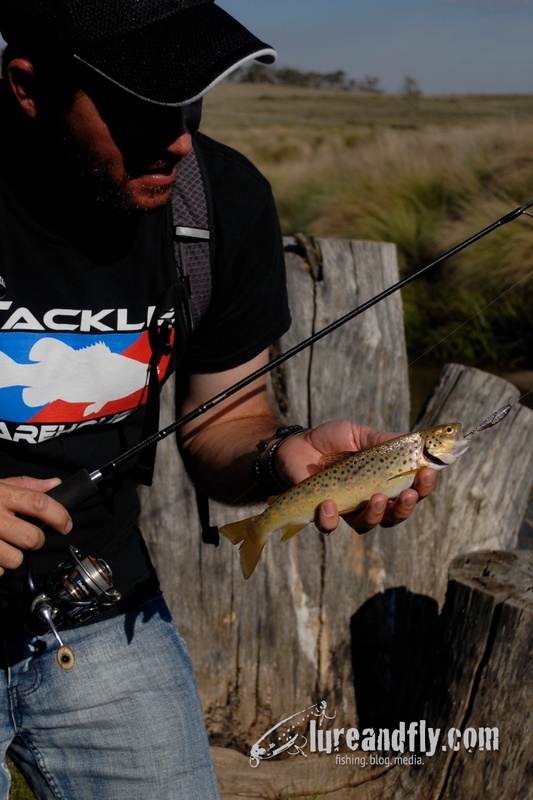 I love fishing ultra light gear for trout and other small fish in streams and rivers here in the USA too. I think I use similair gear. Could you tell use what rods and size Certate you were using. That sounds like a great trip! Nice cold water with browns and rainbows, I love it! Any time you can find that in the summer, life is good. Awesome! cannot beat small stream fishing in beautiful country like that. What type of lure retrieve would you recommend for small steams and moving water? Well, It’s one of those things. The first time I had a really successful Trout trip in a small stream it was using a Daiwa Yogiri and since then it is the first thing I put on. They were specifically made for Trout in Japan and brought here for use mainly on Bream. I’ve also done well on the good old Ecogear SX40’s. Usually it’s a fairly quick retrieve with a few twitches. I mostly go for the reaction bite……. grab it now or it’s gone….